Having the seller in mind means having the buyer in mind. As an agent, you have many tools available to add to your arsenal. These tools make you a more attractive investment for buyers and sellers, and increase the success of ventures with your current clients. One profitable area to approach for your education or re-orientation is home staging. Even if you don’t become a home stager yourself in addition to being a real estate agent, it will be extraordinarily beneficial to you to be more informed of and engaged in the process. When a buyer walks into a potential home, their imagination and interest have already been piqued. The last thing seller or agent want to do is to put a roadblock in the way of their imagination, a roadblock that might take the form of anything from mismatched throw pillows to improperly stored cereal boxes littering the available counter space. 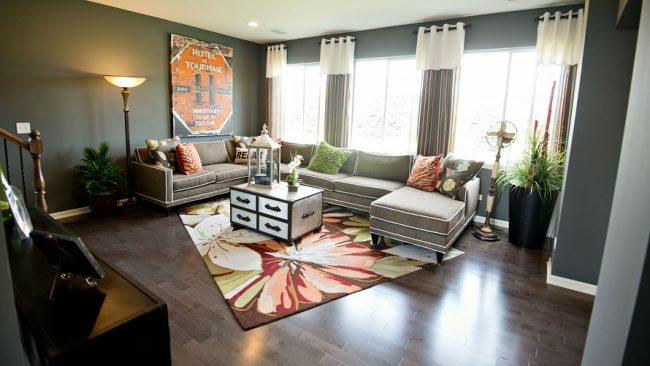 Home staging is a way to further excite and capitalize upon a buyer’s imagination. Staging can be especially effective during the holiday season. It allows buyers to see what the space might look like with more furniture, more space, more color, or more daylight. It prompts the buyer not simply to consider or even want the home, but to aspire to it. 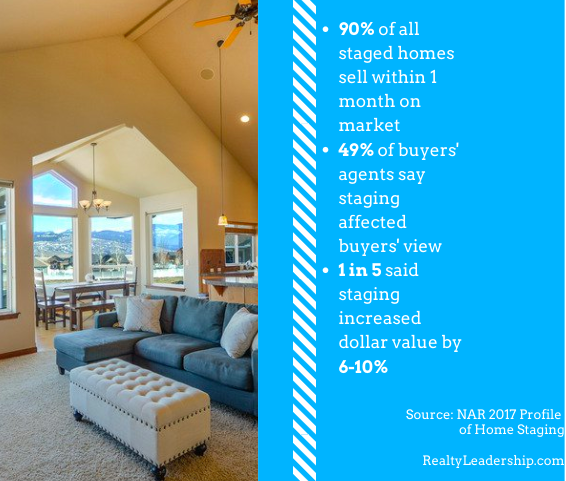 The numbers depict a staggering advantage to staging a home on the market. Doing so can dramatically increase the chances of selling the home within the first month; have a strong impact on buyers’ views of the home; and even increase the dollar value of the home by a significant margin. Not only can combination home stager-real estate agents be a good practical and fiscal choice for a client, but the dual offering bodes well for the agent-client relationship overall. A client will trust an agent who not only knows the ins and outs of the transactional side of real estate but also the aesthetics and sentimentalities at play in the selection and purchase of a home. Home staging itself establishes a more personal and invested relationship with sellers. However, you don’t need to essentially hold two jobs in order to add this skill to your toolkit. While a home staging certification might be a worthwhile investment, you can use your personality as an agent the same way you would as a stager. Leave a little room for your passion and intuition. Think about how best to show off what is great about the home you’re selling. Then move beyond the home; think about each individual space. Allow your creativity to lend a gentle guiding hand. And most importantly, approach everything with the enthusiasm of someone who is about to transform a space, because, ideally, you are: from for sale to sold. A seller does not want an agent who simply knows where he or she is coming from, but one who can also empathize with the buyer and who is invested in portraying the home in the most appealing light to potential purchasers. The knowledge that this is the case offers security and trust that a seller’s chosen agent will be able to deliver high-caliber client care all the way to the closing table.